This past Saturday May 20th saw a stacked local card full of Precision fighters of varying natures. We had Enrico Chelen Reyes and Nate Cruz in Muay Thai fights, Christopher Stanley and Kevin McAloon in boxing matches, and Andrew Geisler and Mike Russo in grappling matches. Everyone acquitted themselves well. Nate Cruz was putting on a kicking clinic through all of round one that had the crowd ooh and ahhing. Unfortunately an old shoulder injury re-manifested itself after he took a fall through the ropes in the second round forcing an early stoppage to the fight. Chelen found himself in a war with an incredibly game opponent. His use of flash spinning techniques and expert clinch work enabled him to see his hand raised! After spending the vast majority of his time preparing for a Muay Thai bout Drew found himself in a grappling match. He was attacking well throughout the match but found himself in a deep toe hold after a reset that forced the end of the bout. Kevin boxed at an incredibly high level putting on a boxing clinic for the ages. His footwork and head movement in particular stood out to the judges and after being rattled in the first he came back hard in the second and third to secure a victory. Chris put on the performance of the night by far battling against an opponent with a distinct experience advantage in boxing. Stan settled in during the final round and was pouring on the pressure but could not get his man out of there and found himself down on the scorecards. Overall it was an incredible night of fights for Precision and we are proud of all our talented fighters who stepped into the ring that night. Looking to train Boxing, Muay Thai, Brazilian Jiu-Jitsu or MMA in the Poughkeepsie area? Do you live in Poughkeepsie and want to learn the sweet science of boxing? Precision Boxing and MMA is the Hudson Valley’s fastest growing boxing program and is offering a 30 day free trial call 845-392-8495 or visit http://www.poughkeepsieboxing.com to get started! Sam Rivera gives unique look at Precision Mixed Martial Arts in LaGrange, NY. This video is narrated by Precision’s head coach Brian McLaughlin and looks at what motivated him to open Precision as well as what drives students and coaches alike to keep coming back on the mat day after day. 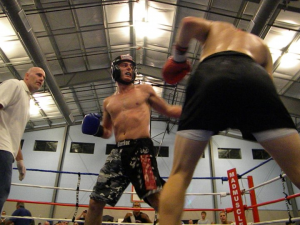 Precision MMA really separates itself from other mixed martial arts gyms through its dedicated boxing program. Many gyms might have a karate or muay thai fighter show some combinations every once in a while, but they do not have someone who truly understands the sweet science. We are different. Precision has Derek Ohlhoff, arguably the most seasoned boxing trainer in the entire Hudson Valley at our facility on a regular basis correcting student’s technique and adding his tricks of the trade along the way. Here coach Derek is working with one of Precision’s up and coming fighters Brandon Clemente. The old adage is “make them miss, make them pay” and that is precisely what Brandon is working on. Combining defense and offense in a seamless system is the hallmark of coach Derek’s system. Boxing is a great sport for a variety of reasons. A participant in boxing can derive many benefits from training. While many people may want to fight in a ring or try their hand at amateur or professional boxing, most people just want to train for the sake of training. Two of the main benefits of taking boxing classes are an increased ability to defend yourself and getting yourself into terrific shape. 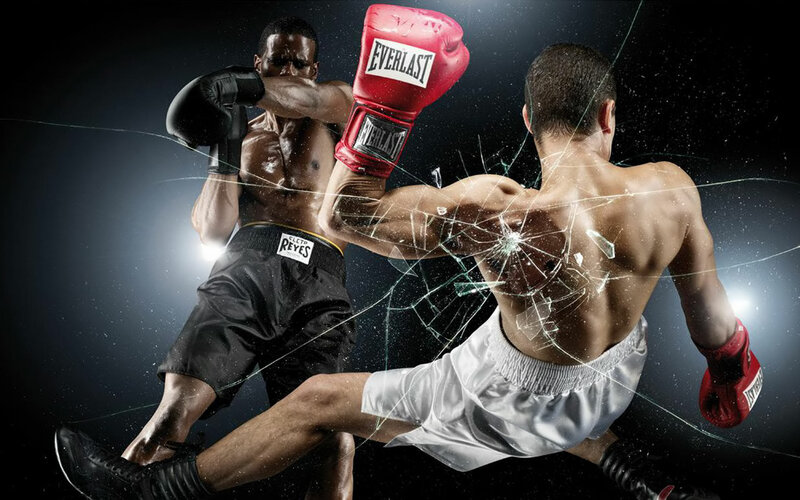 Boxing classes can offer many other benefits, but these two are the most prevalent and easy to achieve. Boxing classes is an underrated martial art for self-defense. 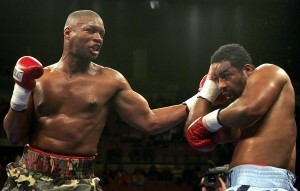 Many people think of boxing as just a contest of who can throw either the harder punches or more punches. Offense is only half of what you learn in a boxing class and the other half is far more nuanced and in depth. Any first lesson in a boxing class should include footwork. A boxers ability to move is a huge predictor of success in a fight. A boxer who can move in and out is one that will be able to not only land more punches, but also not get hit. Controlling the distance at which a fight is fought is how you stop yourself from being hit in a street fight. Before any new student can spare, they have to learn how to not get hit. Head movement and other evasive tactics can be used in both organized fights and street fights. A boxer who uses head movement in the ring is a sight to behold, constantly confusing his opponents and leaving them out of position. A person who can use boxing head movement to avoid getting hit in a self-defense scenario is in very little danger from the average guy on the street picking a fight. Combine head movement and footwork and a person becomes a nearly untouchable. Boxing classes can have you in the best shape of your life. A typical boxing class has many different workouts on any given day. The start is typically a footwork drill or jumping rope. It moves on to mitt work and and pad holding. The major part of class is learning techniques and then repeating them while the instructor monitors and makes sure form is perfect. The average boxing class consists of a whole body workout. Punches, when they are properly learned, are a full body workout that utilizes leg, arm and core muscles. Throwing punches in combination enhances this work out. At the end of a boxing class your feet or lower legs are sore from the footwork and jump ropes. Your arms are sore from punching and parrying punches. The whole experience is one of the most fun and rewarding workouts I have ever experienced. 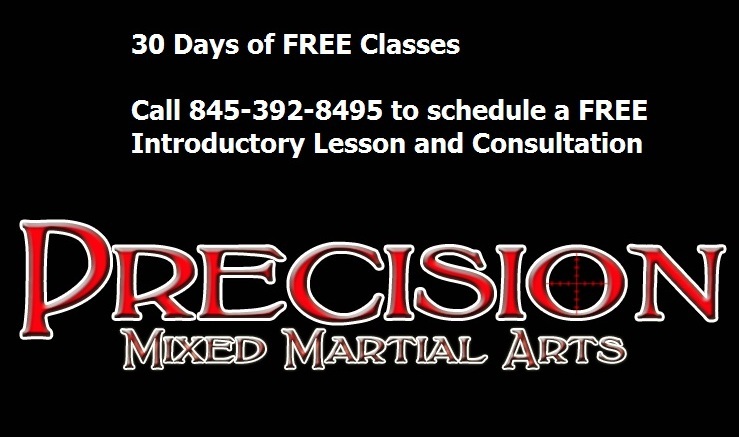 If you are interested in Boxing Classes come in to Precision MMA today. We offer a FREE 30 day trial and private introductory lesson. Give us a call at 845-392-8495, stop in or go to our website at www.poughkeepsieboxing.com. Dan Power and Paul Maley have both won their second round of the New York State Golden Gloves. Dan and Paul have transitioned from newcomers to the sport of boxing to seasoned veterans. Dan and Paul starting training a few years now, and Boxing classes in Poughkeepsie have been a mainstay of their regimen. Their persistence matched with an amazing and supportive coaching staff has Dan and Paul on the right track to a bright future in Boxing. Dan Power is a straight forward boxer. He applies constant pressure to every opponent from the opening til the closing bell. On any given night he can be seen taking class after class. Dan’s cardiovascular endurance is second to none. It is something to behold to watch him work on techniques for hours and not tire. Once you get him in the ring he is a real handful for any opponent, regardless of their style. Paul Maley returns to the Golden Gloves after losing a hotly contested decision in last year’s final. Paul is a fast paced fighter who hits with precision and timing. If last years showing is any indication, Paul will be a real contender to win it all this year. Last year’s loss in the final is a real tough way to go out. Disappointment can be apart of any sportive endeavor and Boxing is one sport where tight wins and losses are common. In spite of this Paul has come back for another shot at the gold. Derek Ohlhoff is the runs Boxing classes in Poughkeepsie and is a dedicated and experienced coach. Derek is a three time Golden Gloves Champion and brings years of competitive and coaching experience to the table. He coached another boxer in Pat Daka to a Golden Gloves championship last year and is eager to see more of his students succeed. Stay tuned to see what happens with Paul and Dan this year. Win or lose they are sure to put on a show and gain valuable experience. Boxing classes in Poughkeepsie are a great way to achieve all that Paul and Dan have accomplished. Come in today and try our FREE 30 day trial and private lesson. Stop in, give us a call at 845-392-8495 or go to our website at www.poughkeepsieboxing.com. Team Precision Boxer Paul Maley Wins! Team Precision’s Paul Maley made the trip up north for USA Boxing’s card just outside of Albany. Showing his straight ahead no non-sense style Paul earned a TKO victory!